UPDATE: Carmelo Garcia flouts NJ ELEC law just like Beth Mason. More ugly mailers, of the Beth Mason - Finboy variety riddled with lies similar to the Nazi Truck in 2012 right in the smack of Hurricane Sandy. Of course Beth Mason has to go out ugly. How could it be any other way? Apologies to all the readers on that incomplete information. There's a lot of pride in getting it right here. After all, we're not the pro Old Guard Hudson Distorter. Suppression of newsworthy stories and facts isn't approved of here. So the total with five days left in this campaign at the typical sleazy underhanded fabrications offered up by Beth Mason and her dirty crew in Carmelo Garcia mailers is actually three. And counting. And that obviously puts Hoboken's magic number at the number of days Beth Mason can deploy the family checkbook to harm the Mile Square in this election to five. Councilwoman Jen Giattino. Mason is still at it. In the interim, Godspeed to Jen Giattino and her family who are more likely than not to be subjected to more pernicious abuse courtesy of the shameless councilwoman who set upon Hoboken a Nazi Truck in the midst of the devastation of Hurricane Sandy three years ago and will be remembered most for her narcisstic obsession to gain power in the midst of a community tragedy. As many will recall, both Hoboken rabbis publicly asked for an apology. They instead got nothing but Mason's contempt. 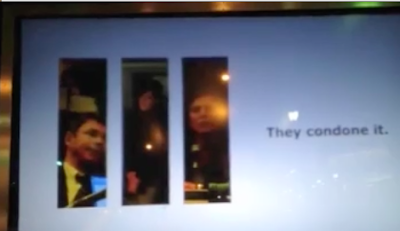 Beth Mason wheeled money illegally to the Nazi Truck campaign breaking the very ordinance passed by the Hoboken City Council and Councilwoman Jen Giattino in 2011. When the City's Corporation Counsel issued a letter highlighting Mason's transgression, she took her usual action when caught: nothing. People are evaluating the latest round of required NJ ELEC campaign filings. While some candidates are missing entries surrounding campaign efforts, there's only one who has filed not a single cent of a campaign contribution or expenditure anywhere. He's taking after Beth Mason who is on the all time top lists of ELEC violations in NJ history! 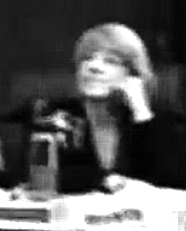 Can you guess who this lone Hoboken culprit is? 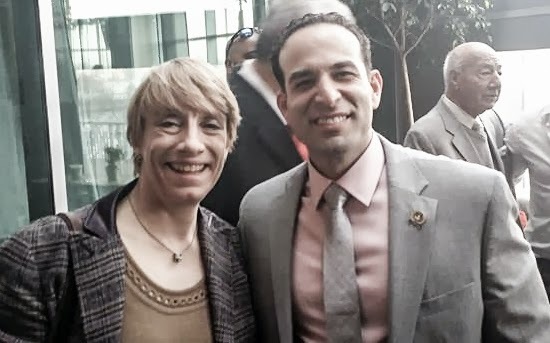 Sleazefeast United: It's Beth Mason and Carmelo Garcia doing thier ugliest to take out Councilwoman Jen Giattino in Hoboken's sixth ward council race. Three mailers hitting daily are laying on the lies thick and plentiful, just how Carmelo Garcia likes it. It's Beth Mason's last spiteful middle finger to her council colleague as the door is about to hit her lame duckness on the way out. Beth Mason and Carmelo Garcia share top honors as NJ ELEC violators! Of course Mason will be exiting the City of Hoboken government under a far larger cloud of illicit actions than merely this one. Her greatest success leaving government isn't supporting some NY newspaper petition but coming within a hair of closing Hoboken University Medical Center and bankrupting the City of Hoboken in the process. Another attack in the offing for Councilwoman Giattino and her family may come with their move a few blocks north in a temporary apartment when their home was ravaged like so many others in Hurrican Sandy. You think Carmelo Garcia wouldn't go that low in targeting opposition who are also Hurricane Sandy victims? Ask Jessica Coco, an ill woman in the Hoboken Housing Authority with a pulmonary condition recently diagnosed with autoimmune problems. As an aside, Mason continues to press a criminal complaint against MSV claiming she was assaulted with a envelope which contained a subpoena to appear in the Bajardi v. Pincus frivilous SLAPP-suit she publicly supported against a dozen Hoboken residents. 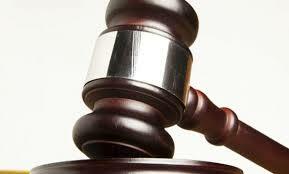 The trial date has been moved again from October 30th to December 11th. Everyone's invited. For Hoboken, November 3rd is Judgment Day. Act accordingly.